Street view of the Frederick Fair on a busy night. 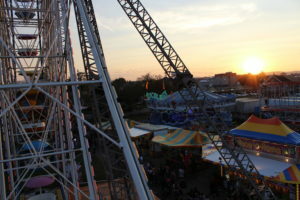 The Great Frederick Fair is a stress reliever for the locals and students, as well as an agriculture celebration and a natural entertainment. 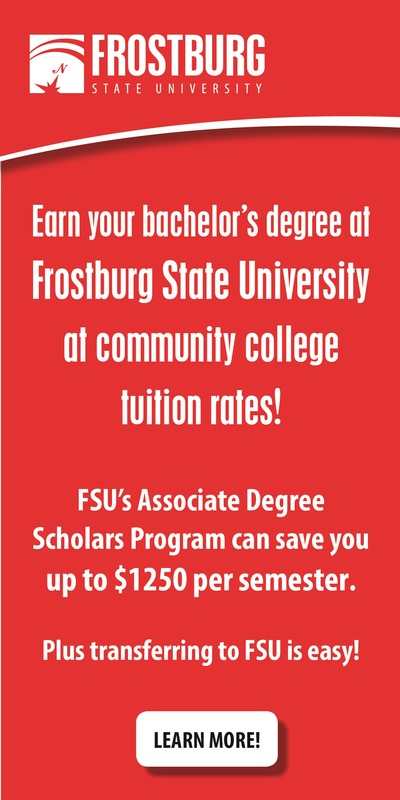 Sara DeAndrades, a current FCC student, attended the Fair and recalled her experience. “It’s an event that you can just step back from your busy school life and spend time with your family and friends, a family oriented sort of event,” DeAndrades said. Every year people enjoy attending the Frederick Fair to support Frederick County farming and agriculture. The Fair has become an annual event of agriculture and a part of Frederick’s history and culture. 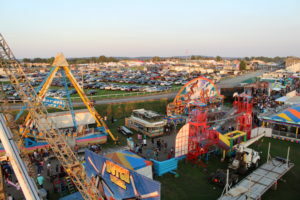 View of Frederick Fair on top of the ferris wheel. The Fair has become a time for fun and a chance to give back to the community through volunteer groups, nonprofit organizations, and charities. 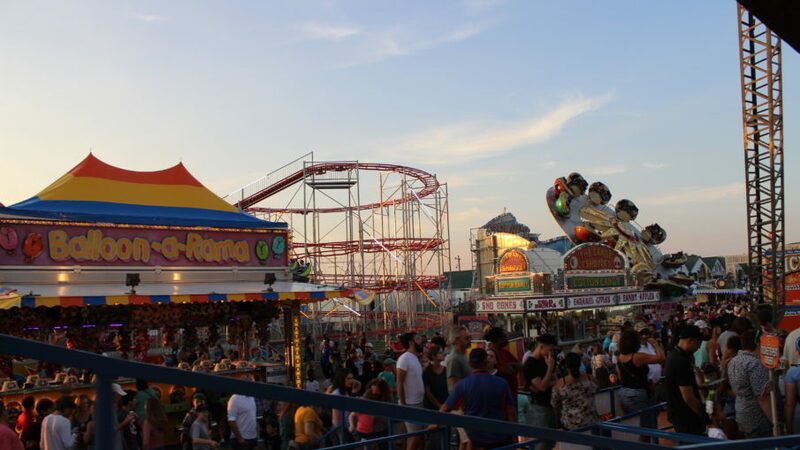 The 156th annual Fair provides an unlimited and diverse entertainment; from different styles of “LOUD” music/concerts, as well as talented musicians such as: Gary Allan, John Kay & Steppenwolf, Brett Young with Riley Green, Scott McCreery and Matthew West with Feliz. The Fair also provides a selection of animal exhibits, some allowing interaction for petting of select animals. Food selections have also attracted a big crowd to the Fair, serving delicious Mexican fajitas and ice cream help enhance the fair experience. Kolby Cregger, a former FCC student, has been visiting the Fair for multiple years now. Local food vendor rolling pretzels for fair attendees. Local and Homegrown Distilleries, Wineries, and Breweries are a main attraction for visitors and their residents, making the customers very happy and pleased with the service. The fair allows for the traditional agriculture to blend with the emerging industry of alcohol. The Fair also allows farmers the chance to diversify and expand their products. According to “930 WFMD Free Talk,” Maryland Governor, Larry Hogan visited the Fair. Hogan attended the Fair to promote the event, show his own support for agriculture, and take in the experience. Hogan explored the grounds of the fair, experiencing the entertainment and enjoying ice cream from the dairy farms. Hogan did not grow up with an agriculture experience or cultivation background, but he still shows a significant interest in the farming industry across the state.